One of the best things about living in Prince George is you can drive just 15 minutes in any direction and find yourself on the edge of wilderness. Beautiful forests surround us and of course that means excellent opportunities for epic hikes. There are so many to choose from, whether you feel like driving a mere half an hour or a few hours, but I’ve picked out four of my favourite hiking destinations, one for each direction out of Prince George. They all make for great day hikes, so pack a lunch and your bear spray, and get moving! A lookout break on the Fort George Canyon trail. Fort George Canyon is about an hour’s drive from Prince George and is a beautiful and historical site. 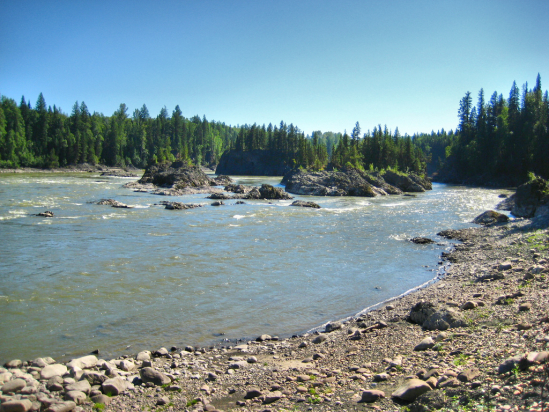 The trail is located at the edge of Fort George Canyon Provincial Park and weaves 4.8 km down to the Fraser River, where sternwheelers in the early 1900s used to encounter a precarious part of their trips, having to navigate the rocks and rapids, while others were forced to portage. The hike is great, flat and scenic for much of the way (another good cross-country skiing trail in the winter) until it takes a sharp downward slope for the last couple kilometers. 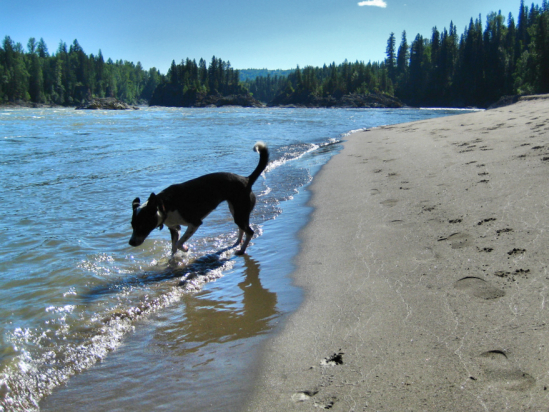 The river is edged with a sandy beach (perfect for enjoying that bagged lunch! ), and in the late summer, when the water is low, you can walk out onto the rocks near the middle of the river. Save up some energy for the climb back up the hills though! Rocks and rapids in the Fraser River within Fort George Canyon. The perfect resting spot in Fort George Canyon. 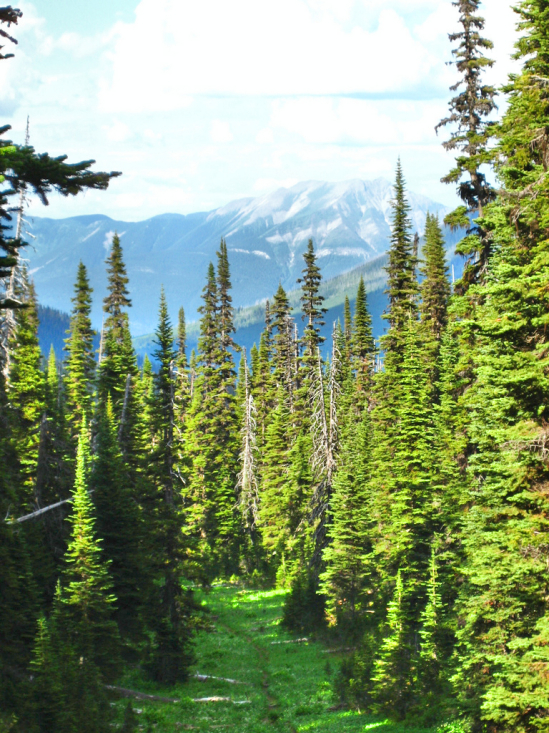 Last summer, I shared my hike up to Raven Lake with you, and now it’s time to explore the Grizzly Den side of this trail loop within the Sugarbowl – Grizzly Den Provincial Park. 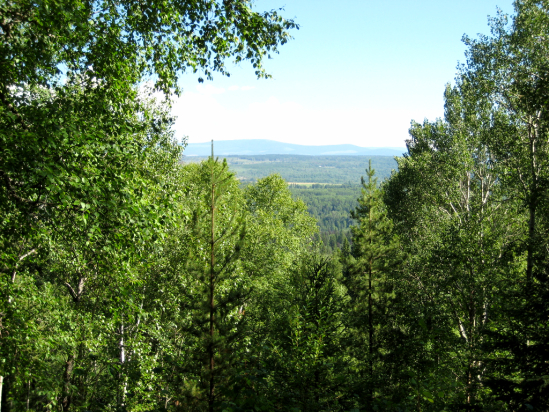 The park is 95 km east of Prince George and is used regularly in both the summer and winter. This is some serious backcountry and always makes me feel a million miles away from civilization. The vastness of the alpine meadows that you trek through on this trail is just breathtaking and it’s hard not to expect a herd of caribou or a grizzly bear to burst through the trees at any moment. I’ve gone up to the Grizzly Den cabin (the middle cabin of the three in this loop, about 6.5 km from the start) before turning around to head home, but those who want to make a full day of it can continue to Raven Lake and back down that side (16 km all in plus another 3 km from the Raven Lake parking lot to your starting point). Mountain views on the Grizzly Den trail. 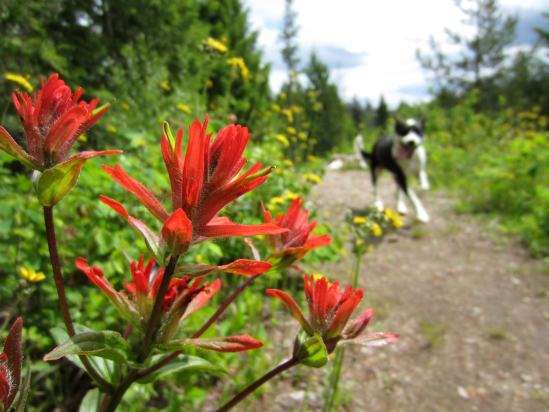 Gorgeous flora in the Sugarbowl – Grizzly Den Provincial Park. 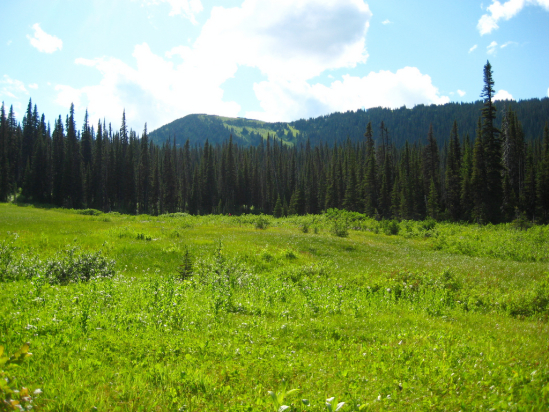 Vast alpine meadows along the Grizzly Den Trail. Teapot Mountain is only 45 minutes north of Prince George. Be warned, it is a bit of a steep climb for some, but it’s a short distance up – only about half an hour from the parking lot to the top of the mountain (1.4 km) – making it a good option for many people, including kids. When you finally pull yourself to the top of the mountain, you’re rewarded with spectacular views. The trail continues along the edge of the top so you can take in the full 360-degree tour: Summit Lake on one side, wetlands on the other and beautiful wilderness as far as your eye can see. Amazing views from the top of Teapot Mountain. 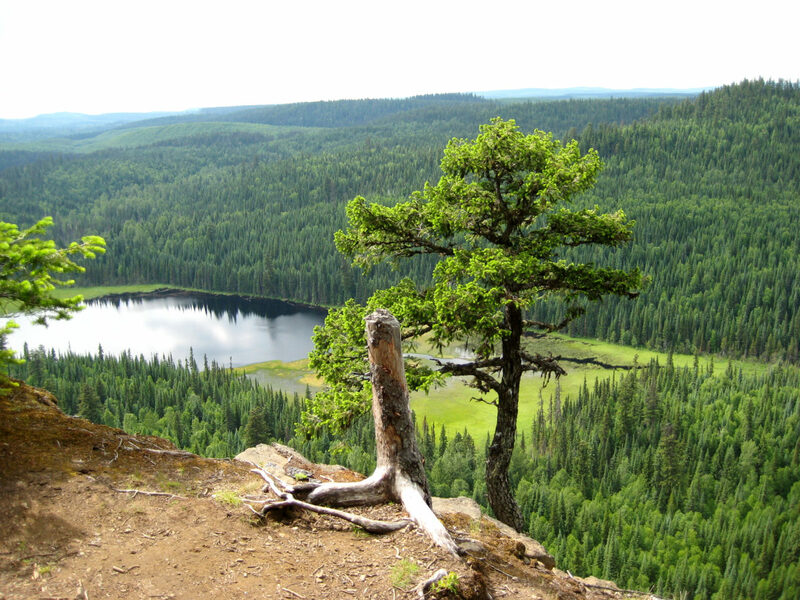 Eskers Provincial Park, located about 40 km from Prince George, along Chief Lake Road, is a beautiful area no matter what season it is – it’s equally as popular in the winter with snowshoers and cross-country skiers as it is in the summer with hikers and fishers. 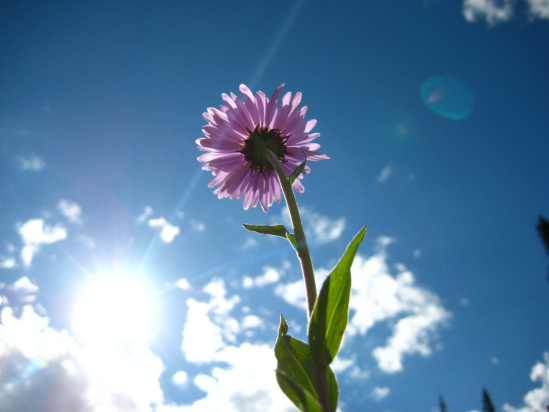 There are many trails to choose from within the Eskers system, and lakes to visit as well. Along my favourite, quick 3 km trail, there’s a great place at the mid-point where a bench faces Ridgeview Lake, offering the perfect spot to stop for lunch. There are several different trail loops depending on how long you’d like to explore for. 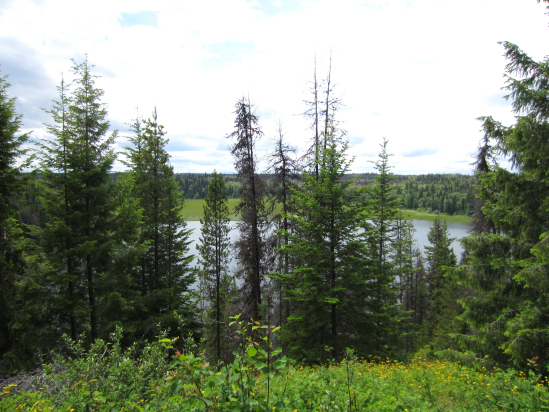 A view from above Ridgeview Lake along one of the Eskers trails. My dog likes to photobomb most of the pretty pictures I try to take. At Eskers Provincial Park.